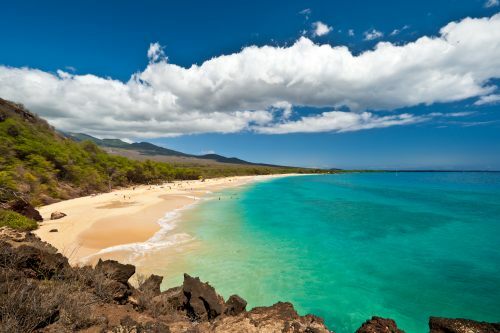 There are a few Toronto to Maui, Hawaii flights available in March for $485 CAD roundtrip including taxes on United Airlines. NOTE: If you can't find these on Momondo, you can try searching for them on FareBoom. They have been showing them for $498 CAD roundtrip. You can also try searching for them on ExploreTrip. They are claiming they can book them for $480 CAD if you call in to book. toronto, yyz, flight deals, united states, hawaii, maui, ogg, united airlines and north america. 3 Responses to "Toronto to Maui, Hawaii - $485 CAD roundtrip including taxes"
Does it rain a lot in April in Hawaii? FYI: I did this deal search using Google flight and found out from YYZ to OGG from March 21 to Mar 28 is $544CDN (1 stop outbound, 2 stops inbound). Thanks Michael! There's been a few dates floating around in the mid $500s. Honolulu is also available with 1 stop each way. March 22-29 for example.